Nutrium™ Mg is a premium turf amendment agent formulated to deliver highly-bioavailable magnesium and amino acids to a plant’s root system, thereby reducing oxidative stress and encouraging stronger cell wall formation. 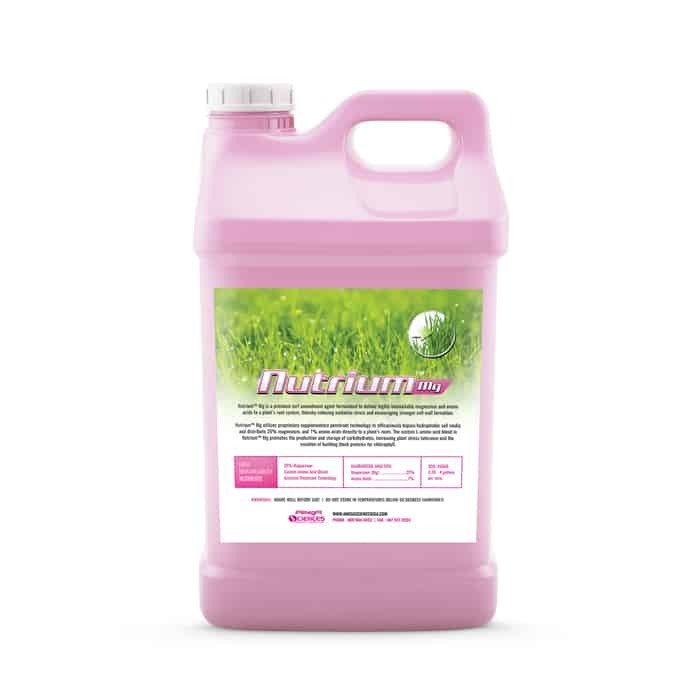 Nutrium™ Mg utilizes proprietary supplementary penetrant technology to efficaciously bypass hydrophobic soil media and distribute 25% magnesium, and 1% amino acids directly to a plant’s roots. The custom L-amino acid blend in Nutrium™ Mg promotes the production and storage of carbohydrates, increasing plant stress tolerance and the creation of building block proteins for chlorophyll. Soil Usage: 0.20 - 4 gallons per acre.